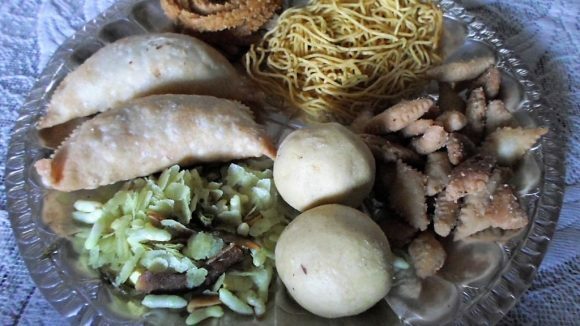 This is a Recipe for preparing tasty Santrabhog or Orange flavoured Rosogolla, the famous and popular Sweet Dish from Bengal. In this article, I will explain the easy method to make this Mithai at home by following this simple to understand recipe. Dissolve the Critic Acid in two table spoon Water. Boil the Milk and then add the Critic Acid Water and mix it well and again boil the Milk for two minutes on a slow flame. Spread a clean cloth over the stainer and pour the Milk over the stainer and then pour some cold Water over the Paneer. Remove all water from the Paneer by pressing your palm. 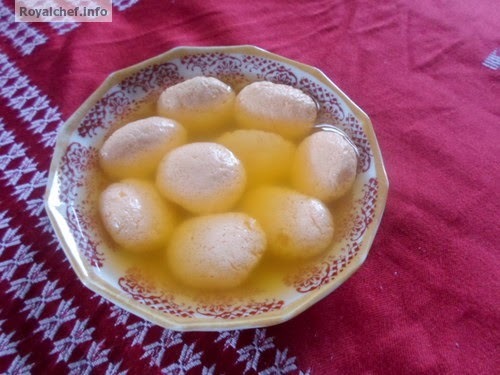 Heat the Water and Sugar for five minutes and then add the oval shaped balls and boil for ten-twelve minutes. Keep then for cooling in the Refrigerator.